Prepare yourself for an unparalleled golfing experience. 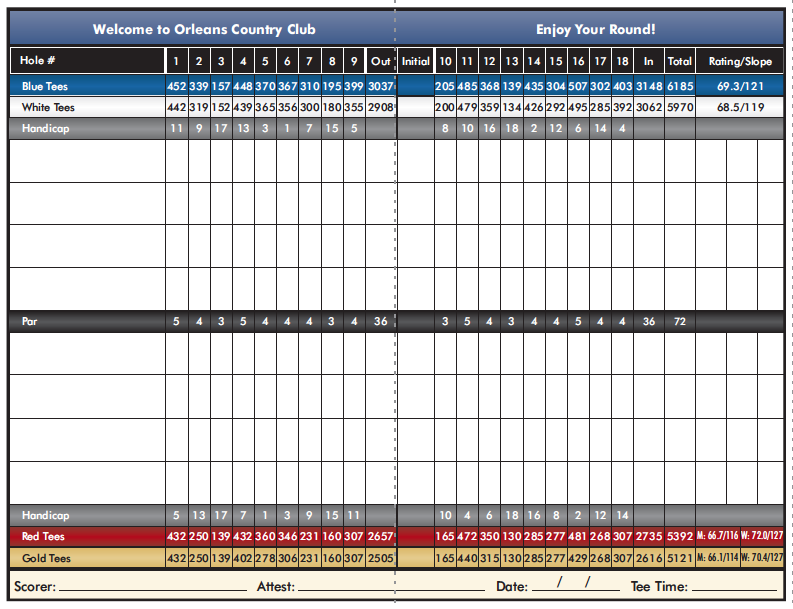 Orleans Country Club’s course is a pleasure for golfers of any skill level to play. 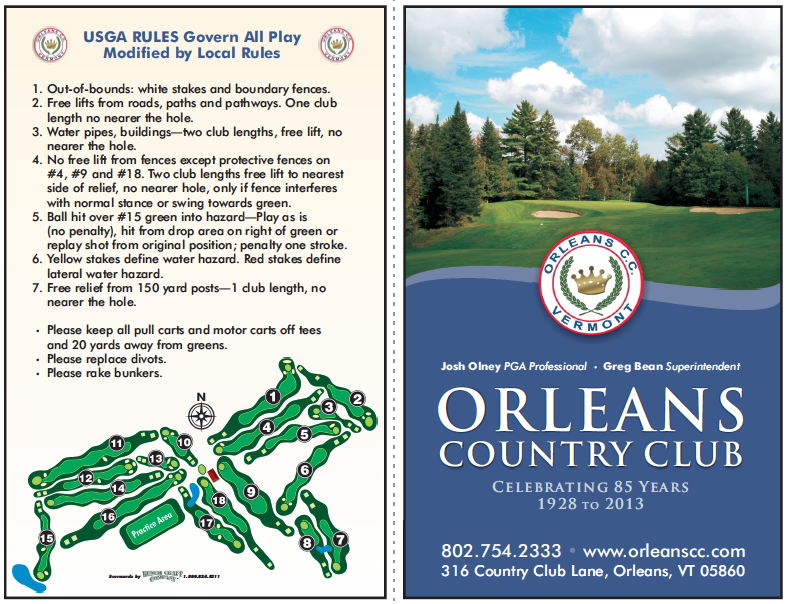 Managed and maintained by a greens crew with a combined more than 150 years of Vermont golf experience, our course features fairways to test your accuracy, water hazards and sand traps to stimulate your decision making, and all the other little touches that help improve your game with every round. Our ultimate goal is to provide you, the Vermont golfer, with a high quality experience, exceptional service and comfortable atmosphere.